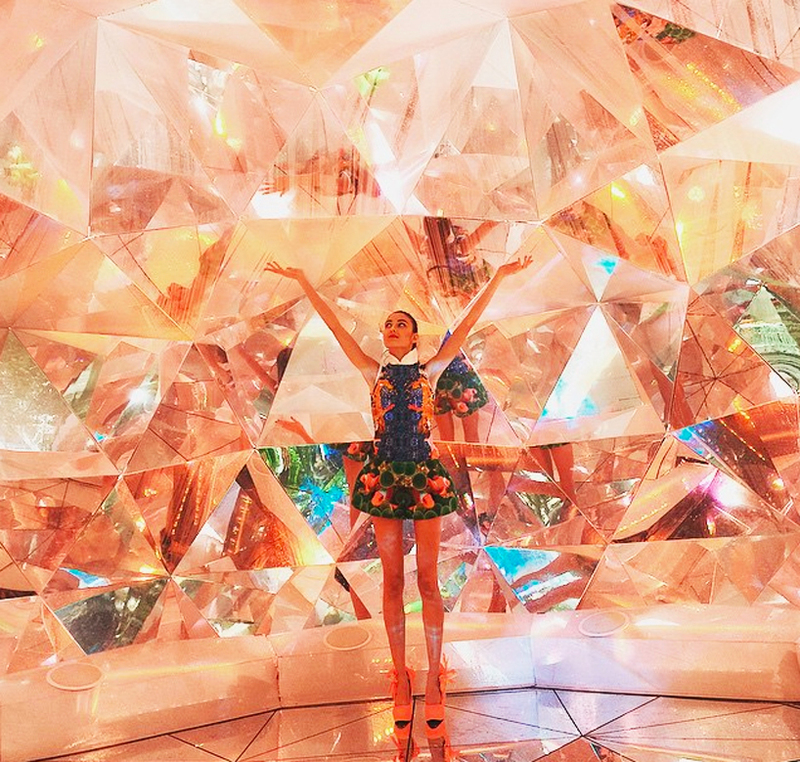 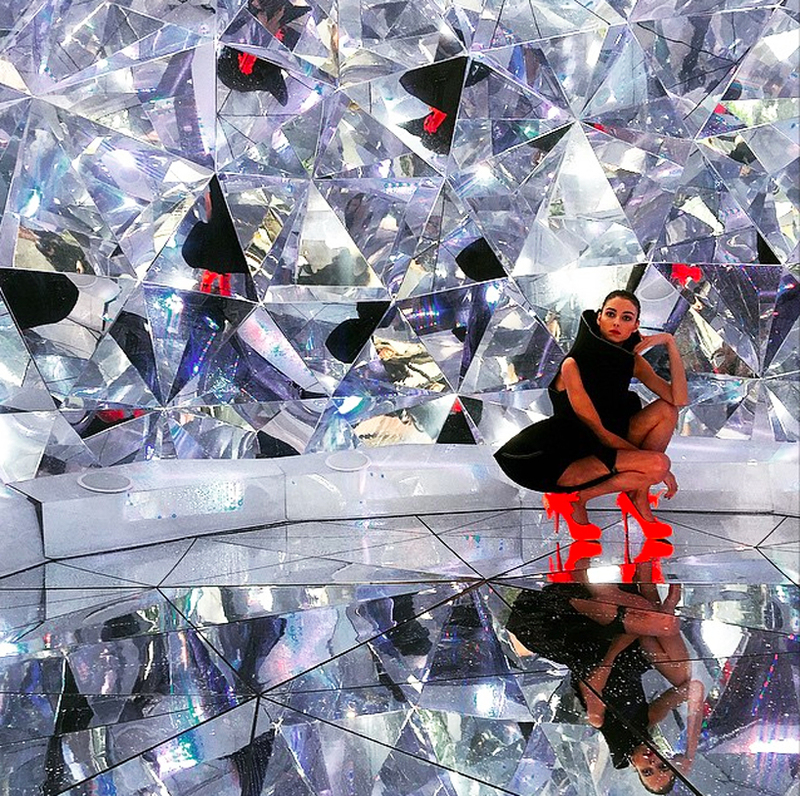 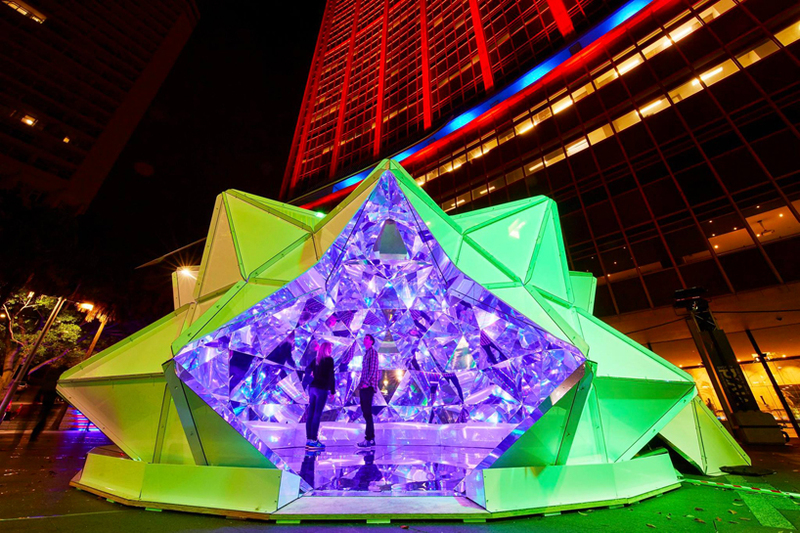 from now until june 8, 2015, visitors to vivid sydney can find themselves bathed in light within a giant three-dimensional kaleidoscope. 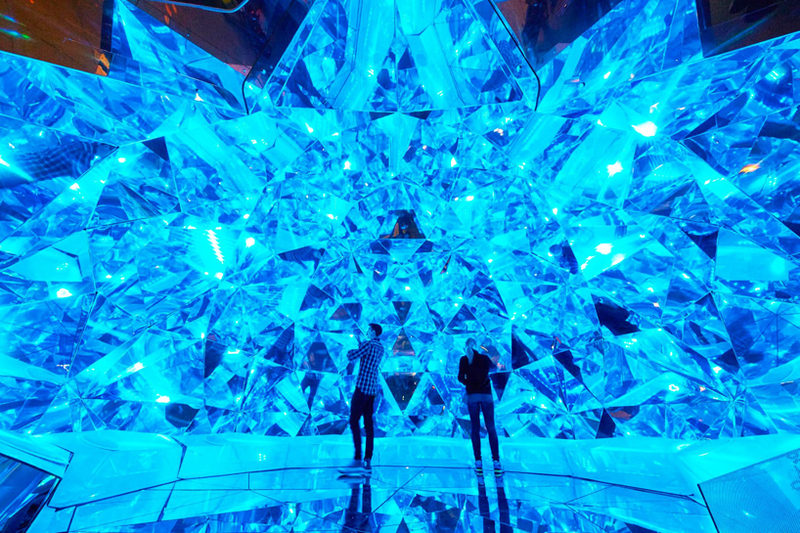 japanese artists masakazu shirane and new zealander reuben young have created ‘light origami’ as a domed structure made up more than 320 geometric shapes, which constantly shift and alter the spectrum of light projected within the luminous space. 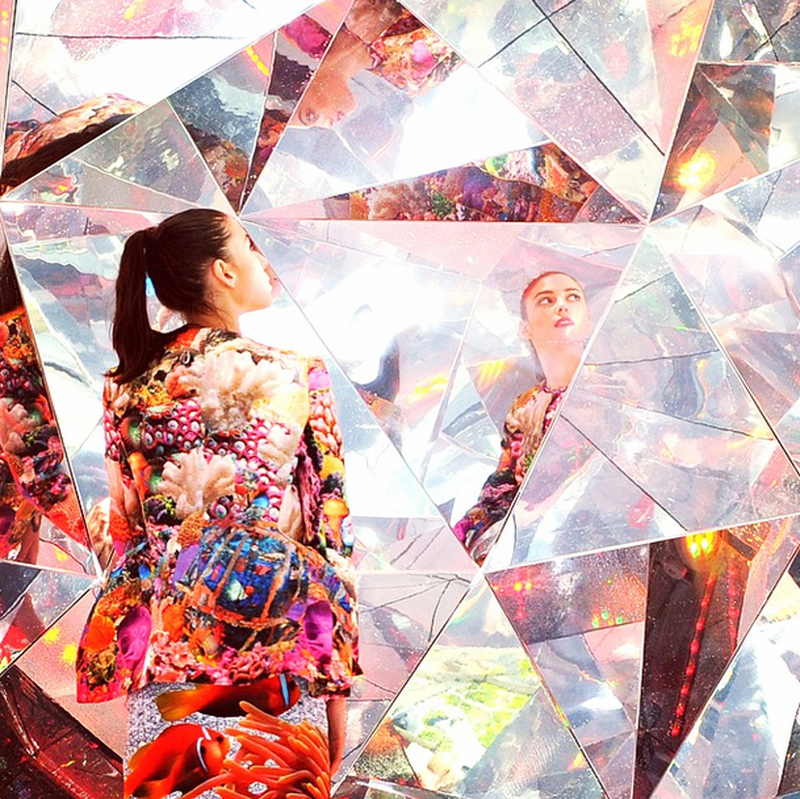 when mirrored against the reflective perspex material, viewers are enveloped by a visual effect that mimics the interior of a kaleidoscope, with changing perspectives and impressions upon entry. 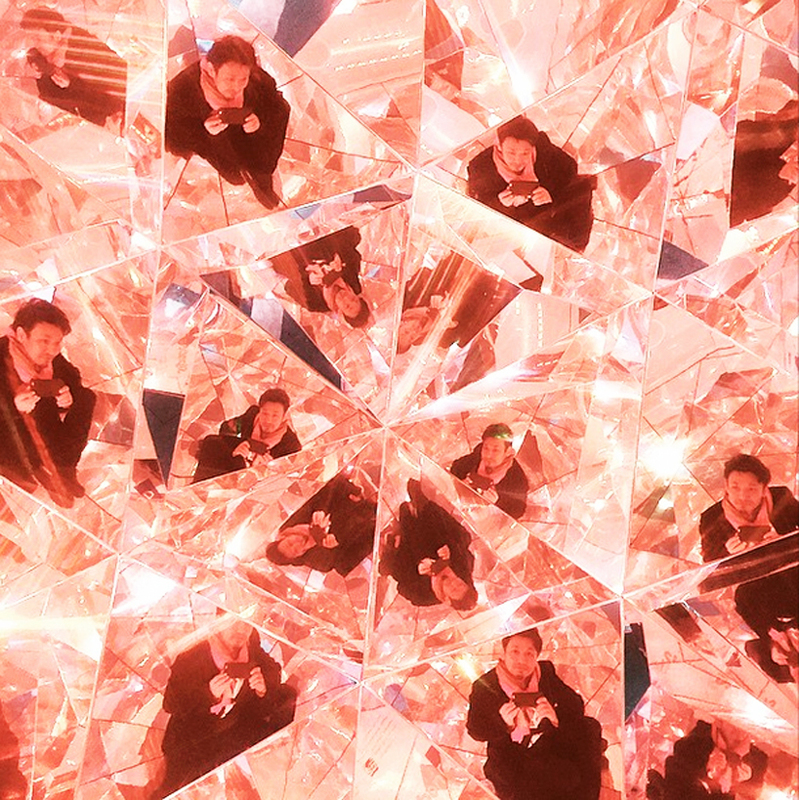 ‘light origami’ creates the same effect as a traditional cylindrical kaleidoscope: as the viewer interacts within it, unique geometries and forms are created. 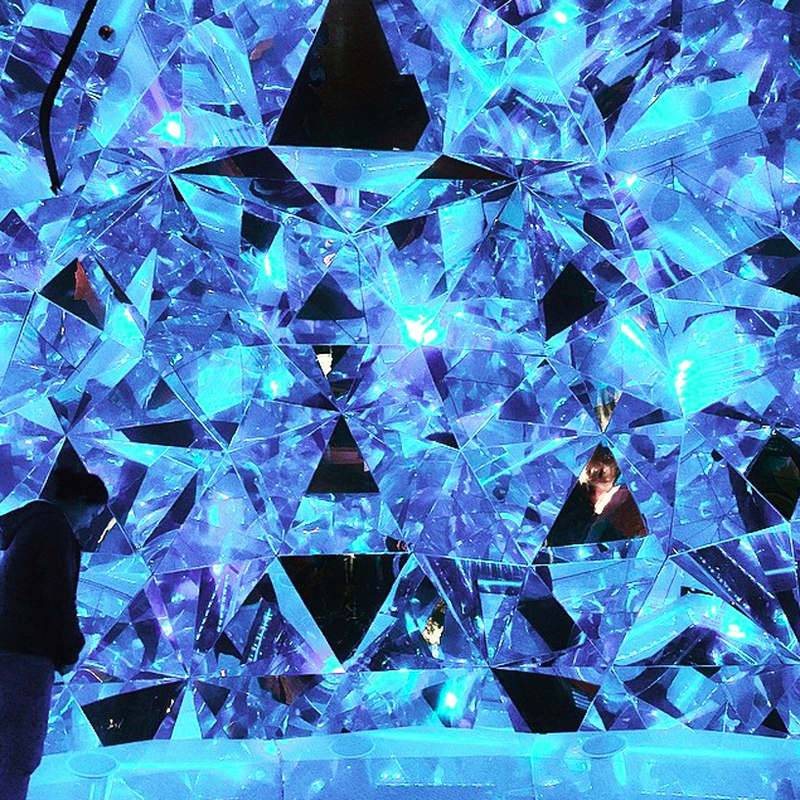 however, in this life-sized scale version, viewers are both participants and co-creators — each of their movements are reflected in the glass panels, the colors and patterns they wear are incorporated into the surrounding environment, and as they look in different directions, perspectives are altered. 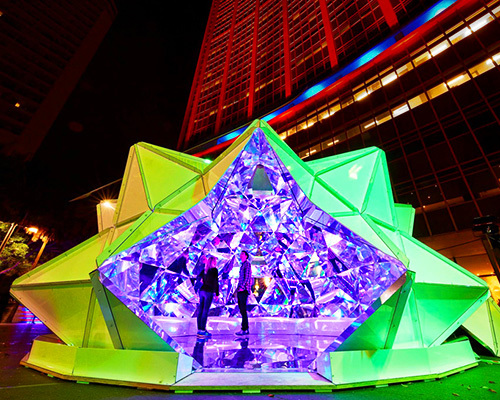 the structure has been created using digital 3D computer modelling tools, and each physical panel is connected by a zipper.